Author of Dark, Paranormal, Suspense,& Romance: You never know where the words may lead. Posting Schedule - On Indefinite Hiatus. Footsteps of a Writer is a path from aspiring writer to published author and beyond. You will find writing tips and motivations, book reviews, author interviews and guest posts, personal insights into my writing life, and more. Sign up for the Newsletter for upcoming releases, freebies, and more! I'm extending my Hiatus to indefinitely due to life changing circumstances. I've worked at the post office as a part-time employee for the last seven years. My turn has come to graduate to a full-time employee. To be honest, most of the time I worked hours of a full-timer, but the breaks in-between allowed for all of my outside interests. The time has come to narrow my focus and take on only what is most important. I'm not leaving the writing world. I will continue with my writing and my publishing. You'll still be able to find me on my website. Be sure to sign up for the newsletter to get updates on my journey and my publications. I haven't yet set a schedule for the newsletter, but it will be sparse, so it won't clutter up your email. I promise. There has been some recent changes in my publishing world that I'd like to share. I'm in the process of cutting ties with my publisher. This will make most of my work unavailable for a little while. I'm waiting for my official release before preparing for my next move. I haven't decided whether to seek out a new publisher, go indie, or possibly expand the novellas into full-length novels. I'll update you in the future on my decided direction. As mentioned in the past post, I've picked up a new hobby. The activity has been random and slow, but I find it relaxing and creatively productive. Above, you see what I've accomplished since taking a break from the blog. I'm currently working on my fourth. I wish you all a Merry Christmas and a Productive, Happy New Year. 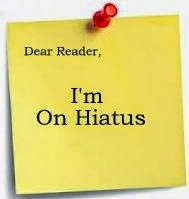 I've decided to take a break from the blog for the rest of the year. My day job is entering the Christmas season rush: Christmas Catalogs galore and Packages for all. It's a bit like being a part of Santa's crew this time of year. But, I'll be totally honest. It has been a long year. I need to wrap this one up with a little 'me' time. 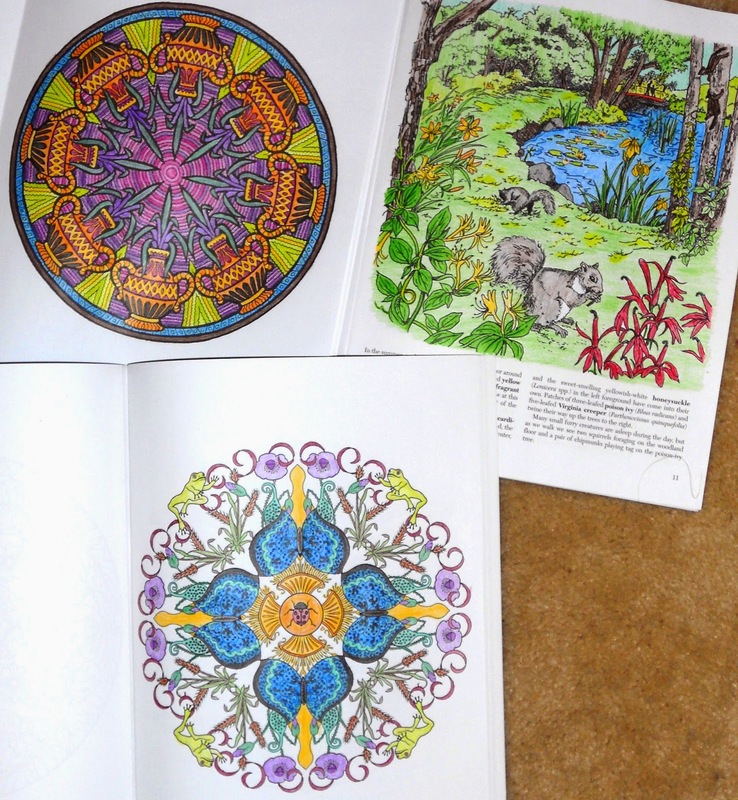 While I'm away, I'll be enjoying my newest hobby - coloring books, yeah! I tend to turn all of my creative ventures into dreaded tasks. I'm hoping this will help bring the joy back to all my activities. I hope you all have wonderful holidays and plenty of family fun. Stay creative and keep those writing dreams alive. Sounds kind of icky, right? So, what is an idea germ? An idea germ is the small spark within your imagination, the conception of your story. With nurturing, this germ grows into an amazing story. The first step is to discover the germ. So, how do you go about discovering such a thing? There are many processes which can be taken to uncover the spark, to bring it into recognition, which gives you the opportunity to nurture it to life. Below, you will find a few methods, but the possibilities are endless. Each individual will find his own road to digging up the germs. I only hope to give you a starting point. This process normally begins with one word, and then a branching off from the word. This can be done in many ways: paper/pen, word document, or even a mind mapping program. The method isn’t that important. Each writer will discover his own preference. The main thing is to exhaust all possibilities. As you do this, your mind lets free of its normal ramblings and allows you into the shadows. A gunshot victim is admitted to the hospital, where the main character works. She discovers the victim is her father, who left her mother before she was born. Determined to find his assailant, she visits the areas of his life and discovers more than she wants to know. This process, similar to the above, begins with a blank page and a free flow of thoughts. Set a timer for ten to fifteen minutes. The main point here is to not think too much on what you are going to write. Allow your brain to supply words and let them flow onto the page. Do not stop until your time goes off. Set your results aside for a few hours. When you come back, scan the text and see if a germ appears. The germ for Escape to Love was conceived in this method. The fifteen minute writing developed into a scene of a woman being transported into emptiness. Blackness surrounds her, and she’s unaware of how she got there or where she is. Out of the darkness, a man emerges, reaching for her. As their hands are about to touch, she begins to fall, landing in a field. Her only thought is of finding a way back to this man. This scene didn’t make it into the novella, but it did create Constance and Lawrence, the main characters. This process consists of applying what if questions to a simple idea. Free Willy: What would happen if the animal was not a whale, but an alien? Okay, E.T. has been done, but what if the alien was your little brother? What if the government discovered his ability to blow up things and takes him away? The germ: Determined to get his brother back, the main character embarks on a journey of danger and discover. This process can be beneficial on many levels, but for this a dream is full of germs. Simply keep a journal of your dreams. Record images, feelings, and thoughts as soon as you can. Dreams have a way of disappearing quickly. Come back later and add any additional thoughts you may have. 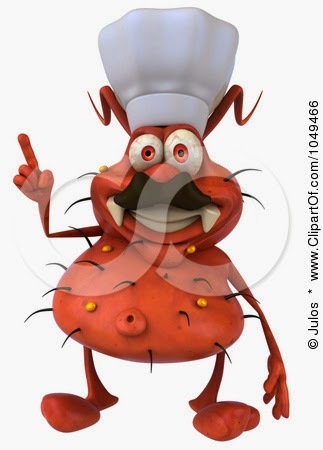 Mine your entry for any possible germs. You dream of running through a field of yellow poppies. Something is chasing you, yet you feel no fear. It’s almost as if you are leading it, rather than running from it. You come upon a stream, but the water is purple rather than blue. After crossing the stream, a green dragon rises from the shallow depths, and snatches up the man chasing you, swallowing him whole. The germ: In a realm adjacent to ours, a dragon species survives, dwelling in purple waters. In February of 2011, one of my first short stories written with hopes of recognition achieved online publication. In September of the same year, it reached printed publication. Friends Forever is about a lonely girl who discovers friendship in an unusual place, but don't mistake it for a story to tell your children. The strong breeze pushed the kite higher and carried the now familiar voice across the backyard. The call floated through the air, like the sounds of the wind chimes on her neighbor's back porch. Clorisa began hearing the voice a few weeks ago, right after her dad deserted her. It wafted up from the old well, growing louder and more persistent with each passing day. The massive oak tree cast shadows, long fingers clawing at the ground, over the stone slabs. Finish reading Friends Forever online or purchase a copy of the Anthology. © 2009-2018 Cher Green. Powered by Blogger.